Why Sharing Negative Data Is Useful | Scientists & Co.
Return on investment, in terms of money and time, from scientific research can be accelerated through sharing unpublished data. The commercial aviation industry has the best track record for learning from their mistakes. 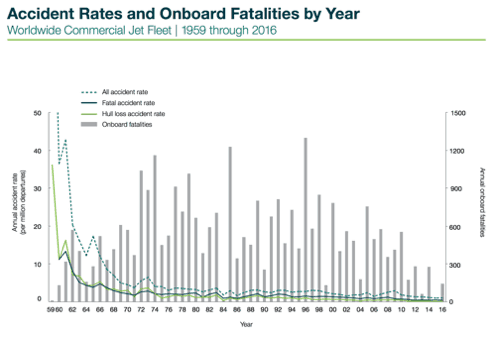 According to Boeing’s recent report, the accident rate fell steeply from 50 annual accidents per million departures in 1959 to approximately 1 annual accident per million departures in 2016. The credit largely goes to the accurate record-keeping and documentation of every known and reported incident both by the industry and individual governments, and the subsequent sharing of this data. The return on investment, both in terms of money and time, for modern scientific research has never been formally quantified. Most research outputs do not have an immediate tangible benefit to the society, in other words, it will take longer to reap the dividends. In the process of generating this output, a number of ‘failed’ experiments, i.e, data that do not fit or substantiate the current hypothesis are undocumented and, therefore, lost in time. This leads to reinvesting considerable sums of money and manpower in repeating experiments by a different research group or at a later stage in time to support another research idea. To put it simply, the scientific fraternity does not learn from its so-called ‘mistakes’ or more popularly known as ‘negative data’. Moreover, the existence of publication bias , wherein selective results are published, misleads public knowledge owing to misinterpretation of statistically significant data. Explore the impact withholding negative data has on clinical drug trails through The Economist's clinical trial publishing game. Imagine if every experiment ever conducted was logged into a central repository and shared with the global scientific community, similar to the AllTrails campaign that records data from successful as well as failed drug trials? Not only would it save time and effort but will enable constructive and coordinated research that is more inclusive. Scientific research, which was meant to be a selfless academic vocation, today has largely begun to function like a corporate. Funding is competitive, so is recruiting talent. A more equitable approach to collaborative scientific work can stem from such a data sharing scheme. 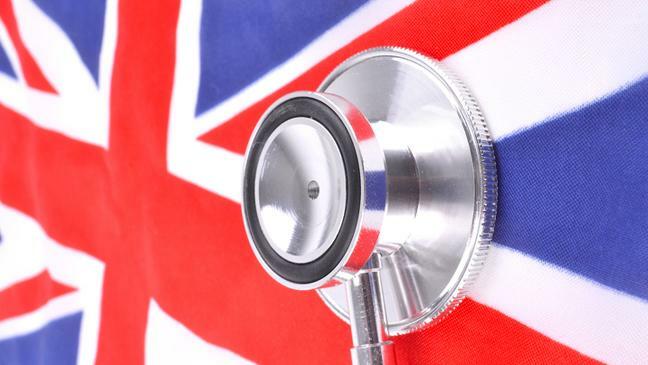 It would reduce competition and encourage partnerships to produce more holistic data. Further, it would cut the red tape in the convoluted method of data sharing we practice today. The added bonus would be the ability to mine data and make realistic correlations from the abundant dataset from across the globe. Take for example, research in chronic diseases; it would greatly benefit to have experimental data and evidence from populations in as many geographical locations as possible and correlate these with social, economic and cultural factors, as compared to isolated studies from one small subset of a population. Such a data and knowledge sharing arrangement will also open up new and unconventional avenues of research in addition to confidence building in the fraternity. Research groups will no longer have to compete with each other in the fear of being ‘scooped’ nor indulge in a rat race to publish in haste. Increasing financial support for research from commercial establishments might restrict data sharing, especially if the output has great monetary values associated with it. It is reasonable for commercial funders to safeguard themselves from competition. A solution to this may lie is sharing the data after the research output has been published or intellectual rights have even secured. Overall, the return on investment from scientific research can be accelerated through sharing data. It would not only save time and effort but also increase accountability for public spending on research and development.